The first step is to choose who you are in the game. 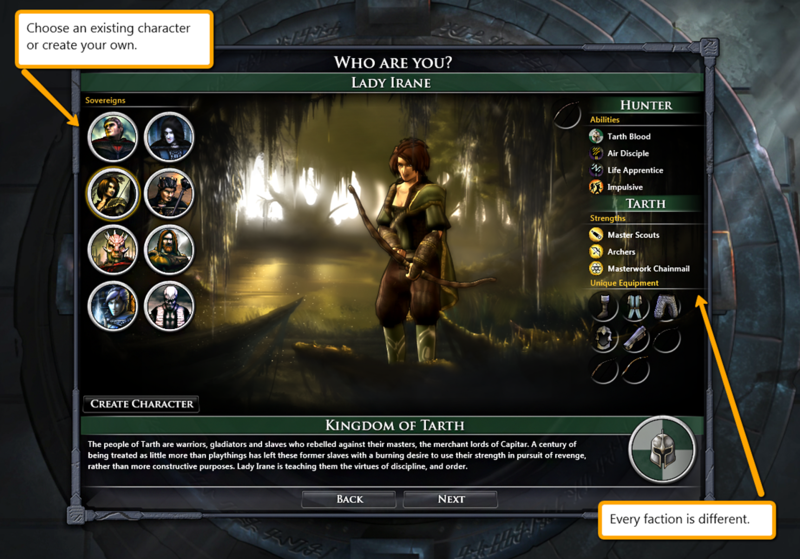 Players can design their own character and faction to play as. In future games, the AI will use these characters as well. 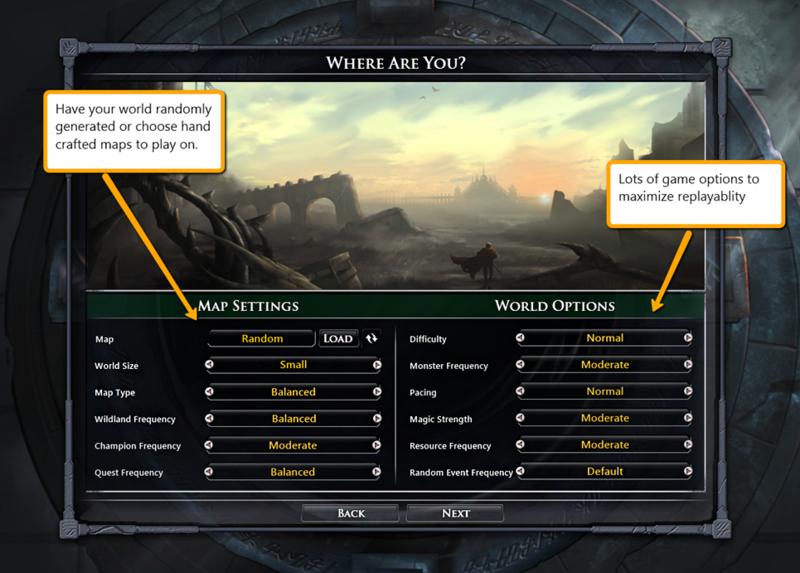 Players can customize their experience. Want faster pacing with more monsters? No problem. Want fewer resources but greater magic power? You can do that too. The difficulty levels of players determines how intelligently they play. 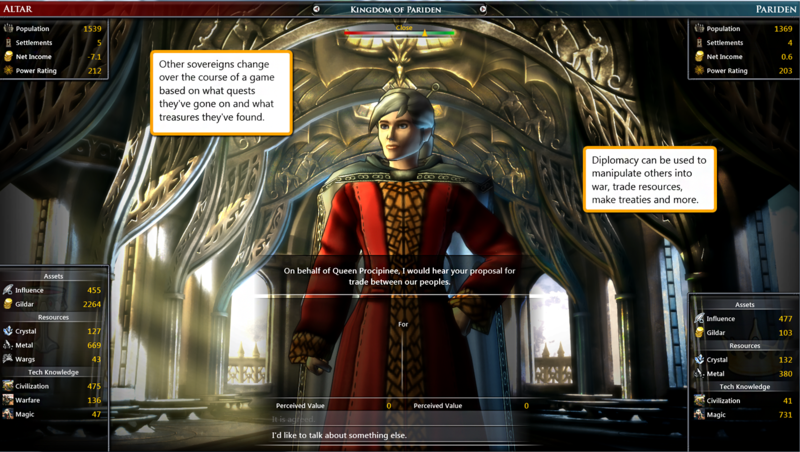 On Normal or lower, the computer players will make "mistakes" that a newer player might make. 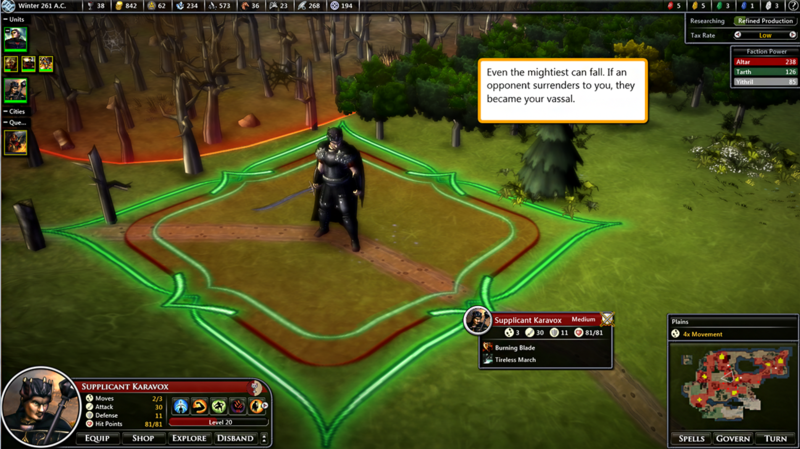 Early in the game, the map provides opportunities to make your character stronger and better equipped. 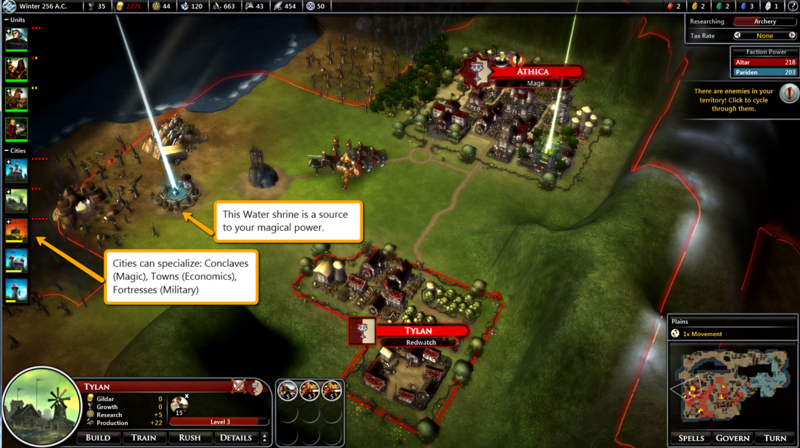 As cities grow, they specialize as either Towns (providing resource to other cities), Conclaves (which focus on research and magic) or Fortresses (which produce the most powerful military units). 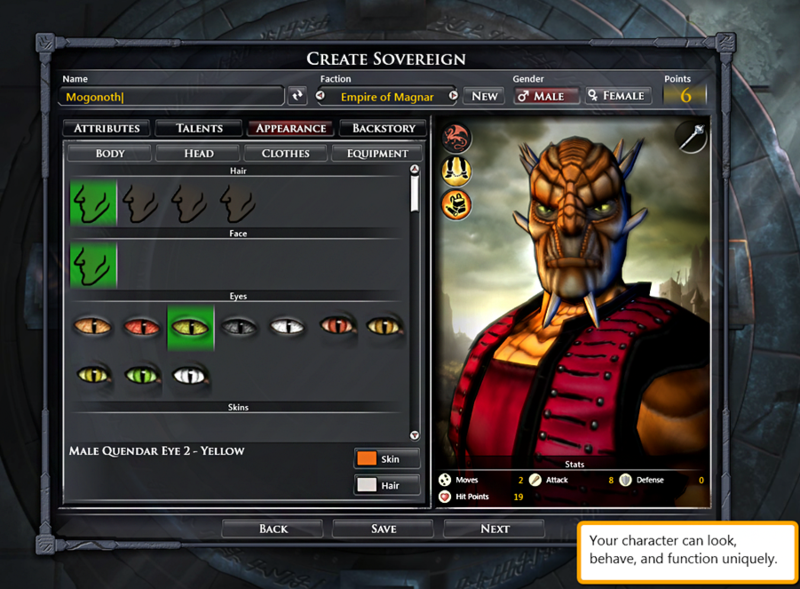 Your sovereign and champions can be uniquely equipped and how they appear in the game changes in real time. 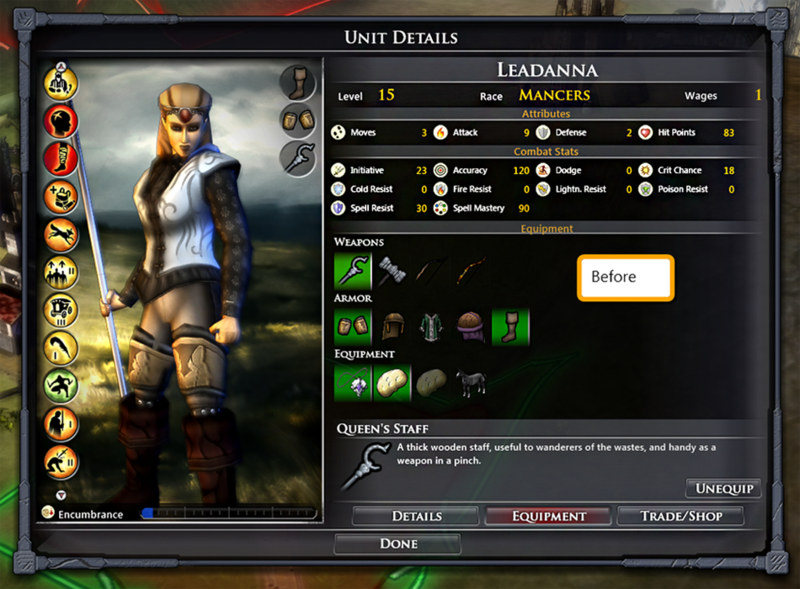 Example of a unit visually changing based on their equipment. 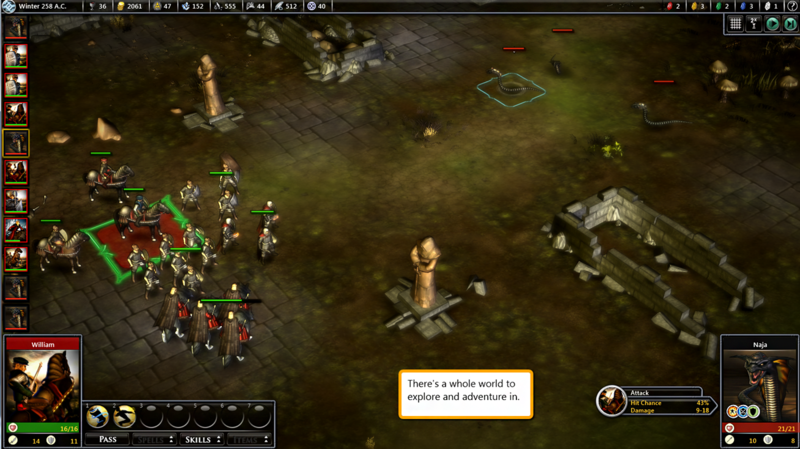 This is how the unit at this stage appears in the main game map. 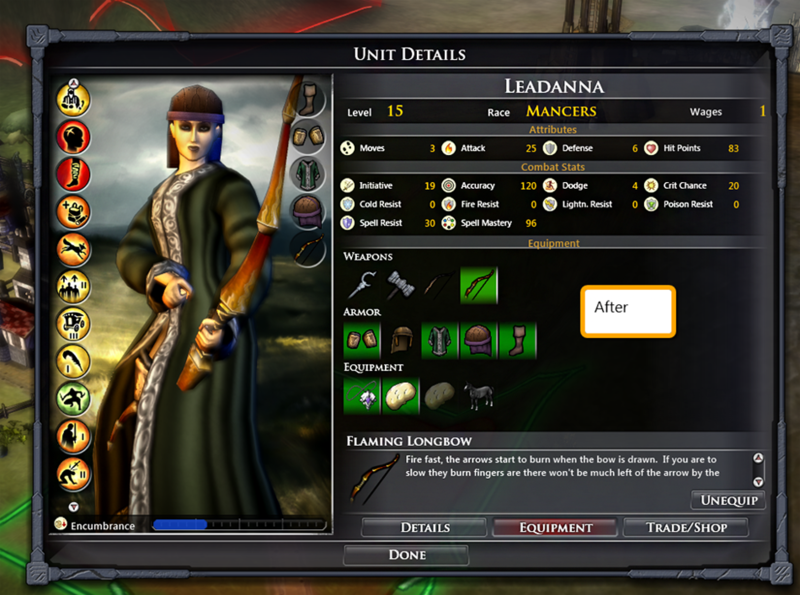 Equipping her with a robe, a bow, and some armor. 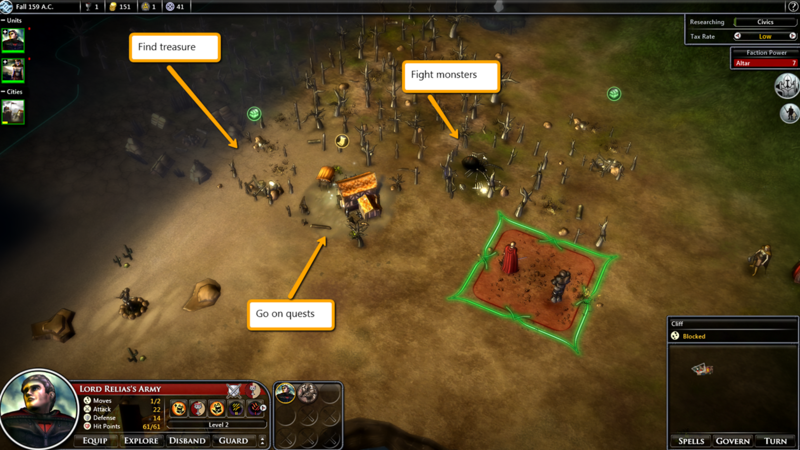 These changes are reflected visually in the map so that the player, at a glance, can tell what gear a unit has. 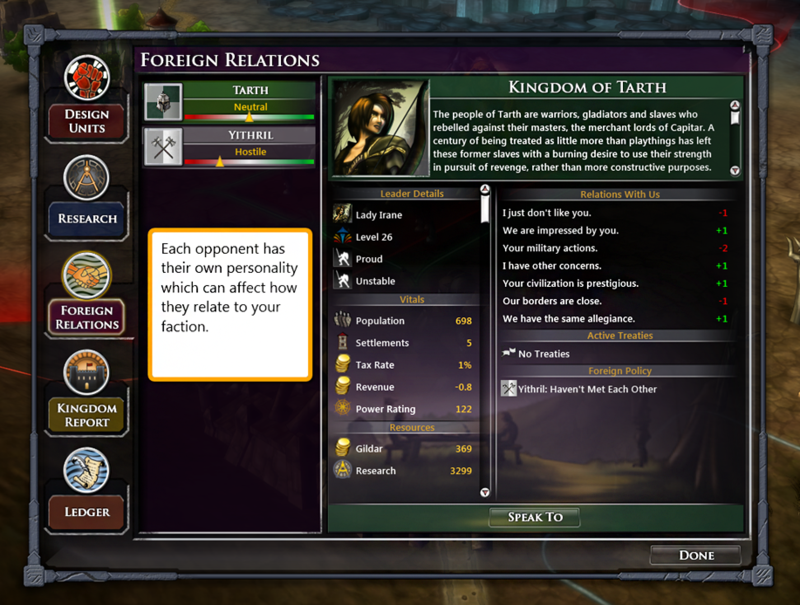 Players can negotiate treaties and trade resources with one another. 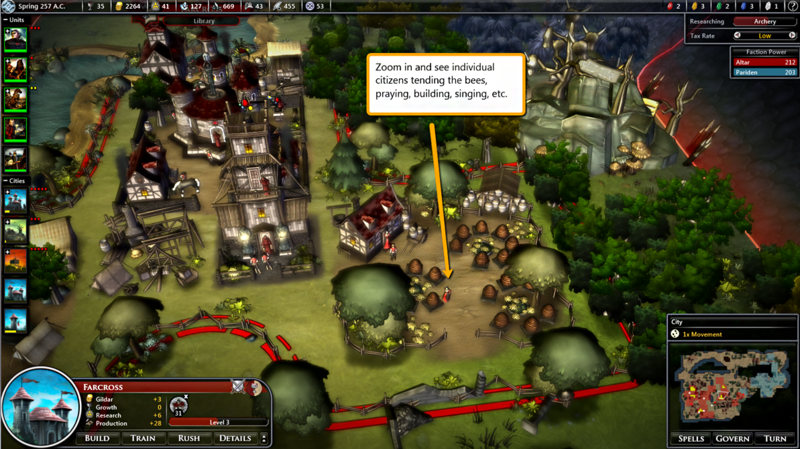 One feature that makes Fallen Enchantress special is that you can zoom way in and see the individual citizens in a city. 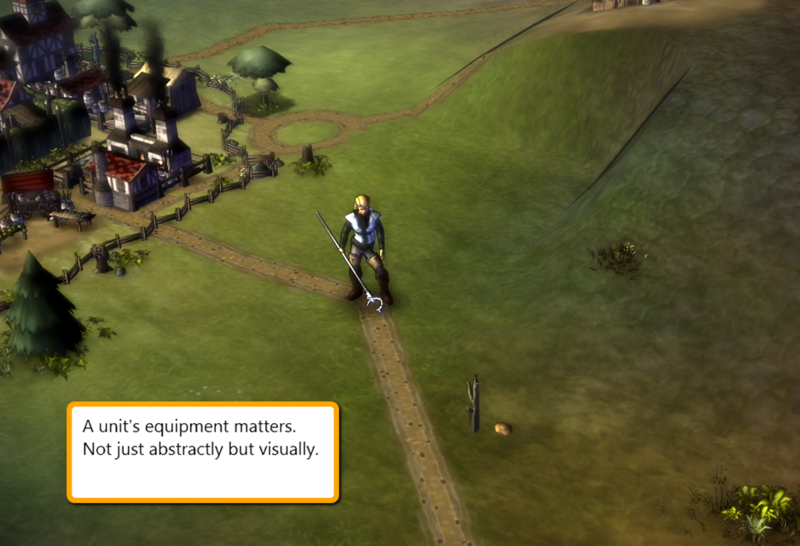 Players can also zoom way out to see the map change to a cloth map. It's not just cosmetic, players can play the game from the cloth map too. 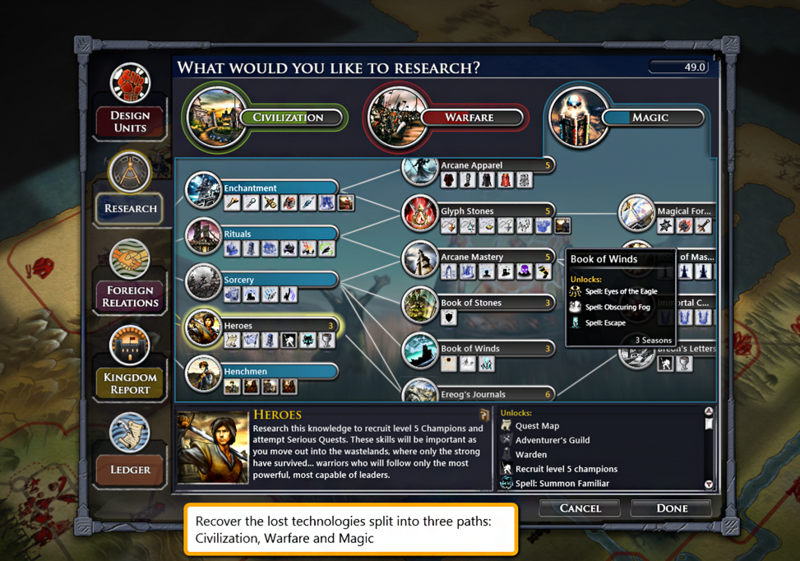 Fallen Enchantress includes a technology tree that will provide new city improvements, gear for units, and magical abilities. 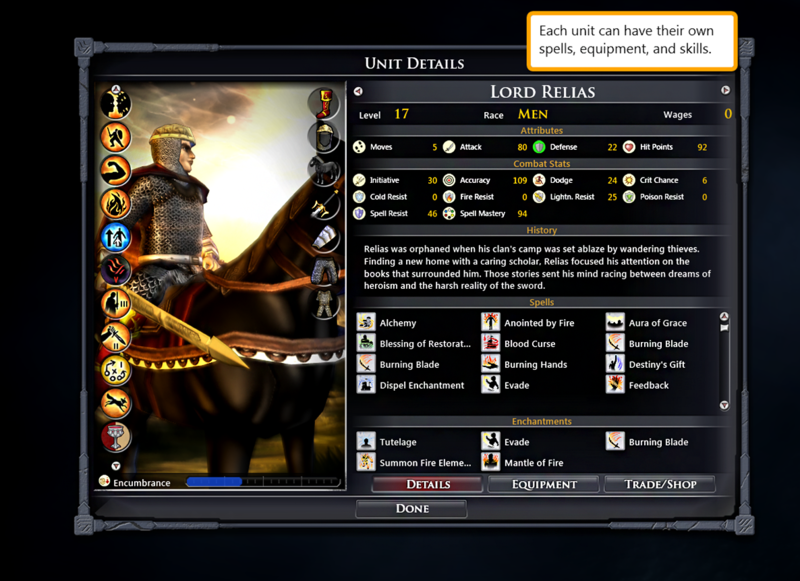 Players can choose to auto-resolve battles or see their units battle it out in tactical battle. 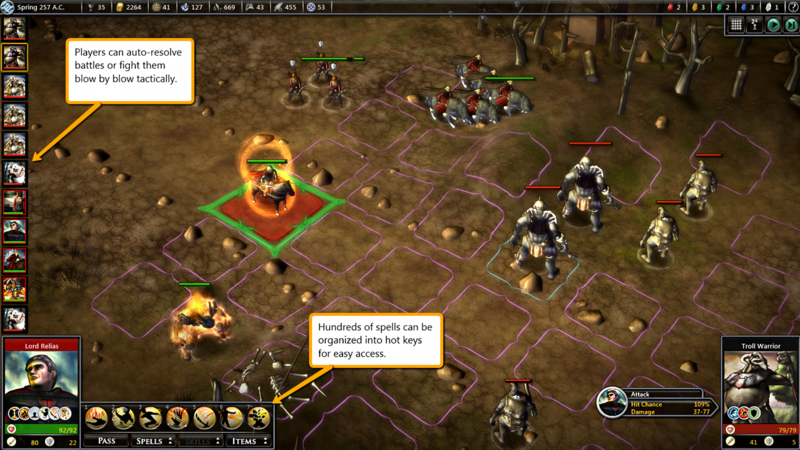 Watch the units you've spent hours assembling handle themselves in combat. 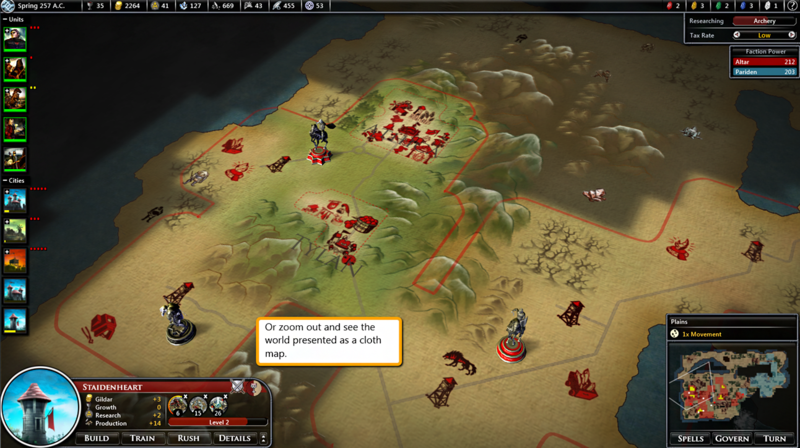 The game picks a tactical map based on the conditions of the strategic map. There are many random events that can occur each game. Players will likely never encounter all of them. 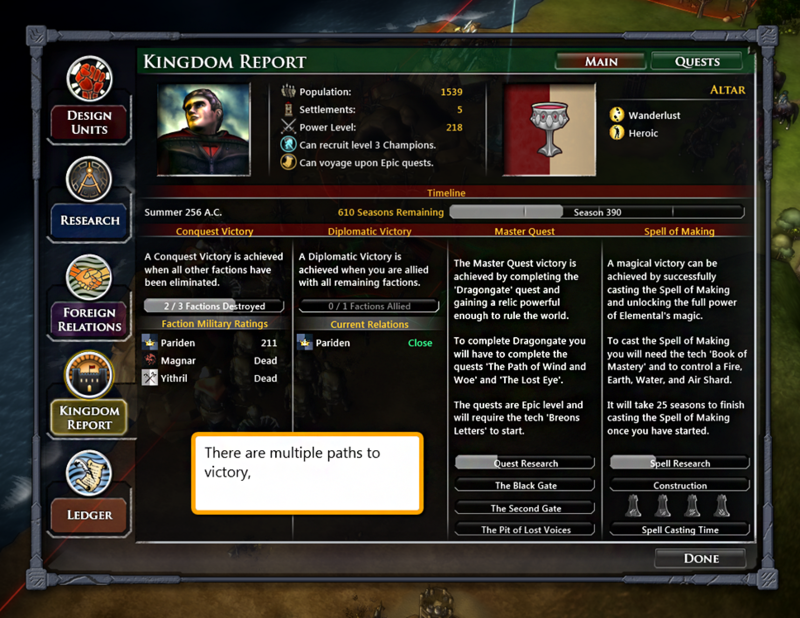 You can demand that a defeated player surrender to you and their sovereign becomes one of your units. 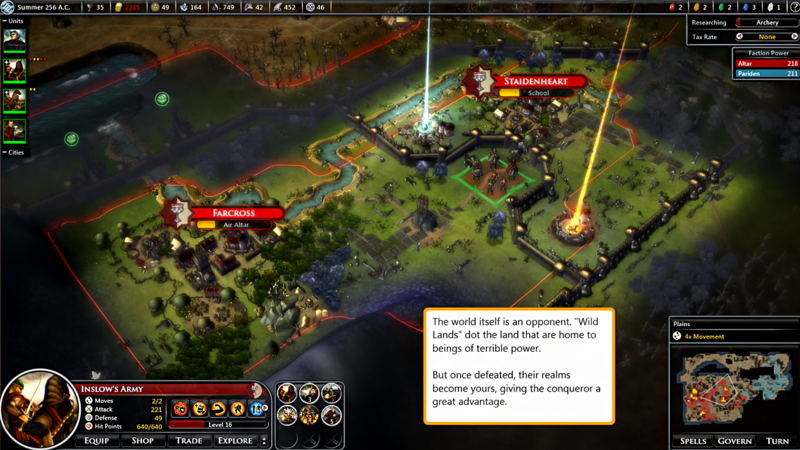 Each AI player engages in their own strategy. You can get a hint for how they're going to play based on their leader details. 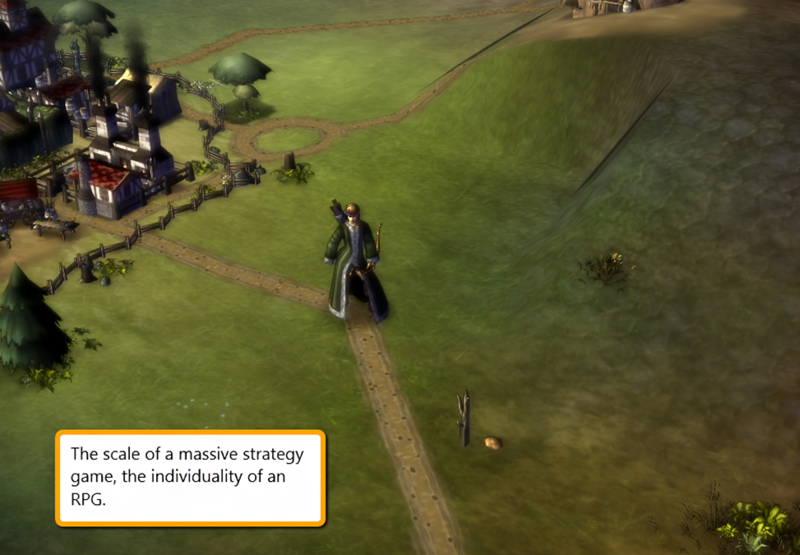 Conquest is not the only option or even the most common option chosen. 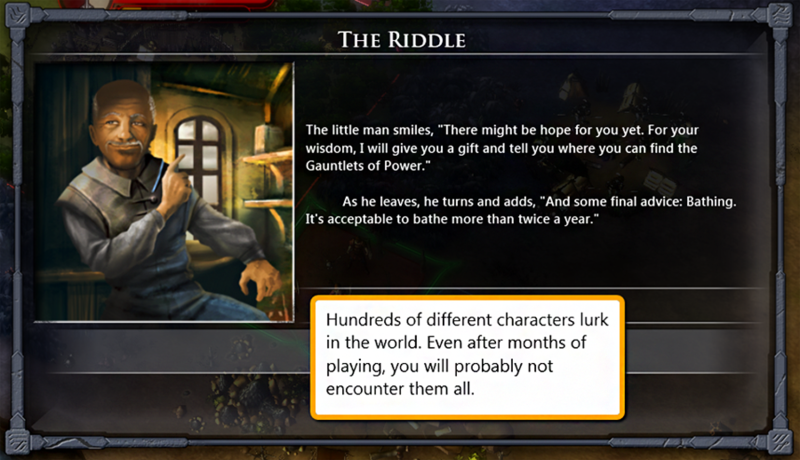 Players can try to ally the world together, win the master quest or cast the spell of making. Maps have special locations called "Wild Lands". If conquered, that player gains its territory. If you've ever played Master of Orion, it's the equivalent of winning that area. 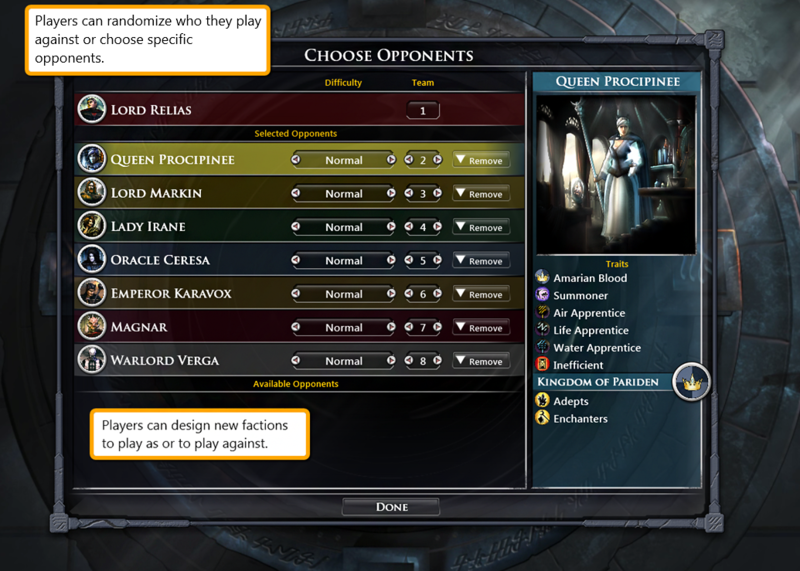 To win at the higher difficulty levels, you will need to pay close attention to what gear your opponents are using and design units that counter them. 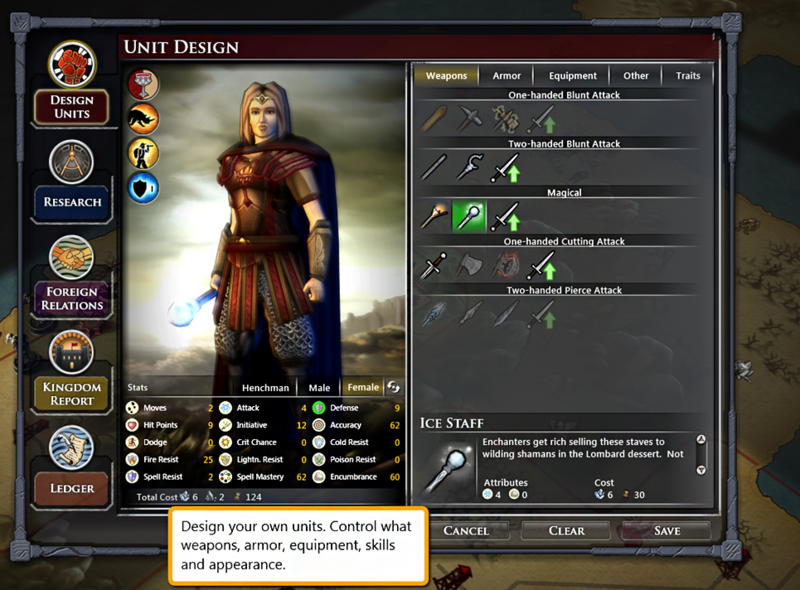 Your designed units can be trained, then sent into battle. Design them to counter your opponent's strategy. 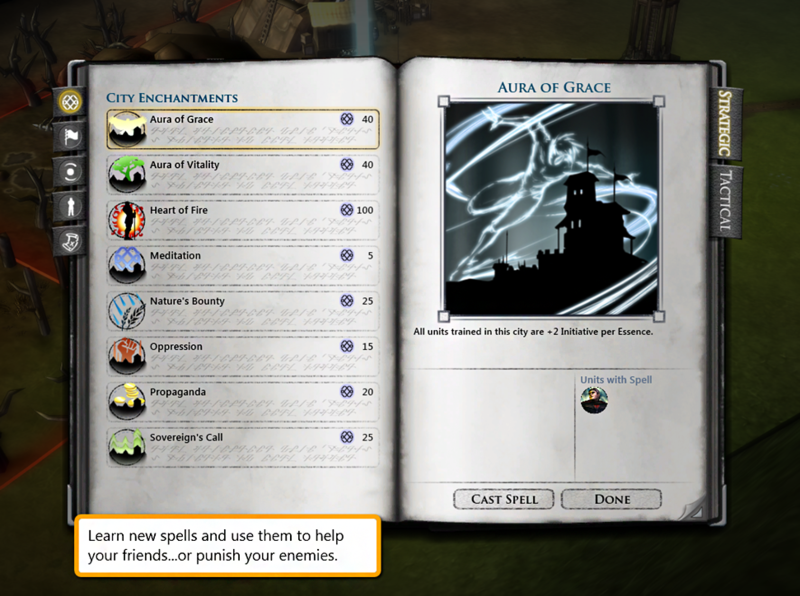 The spell book provides an additional tool to enhance your cities, buff your units, modify the world, or destroy your enemies. 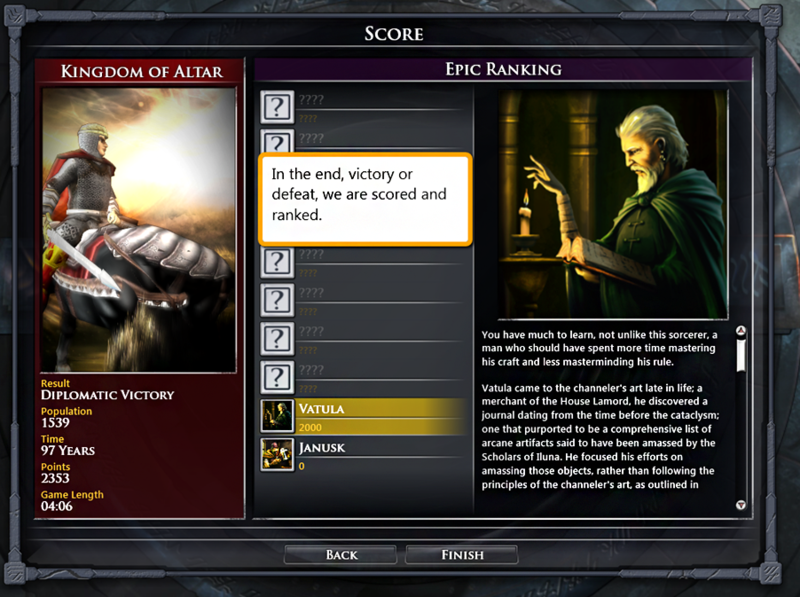 Players can submit their characters and scores to Facebook and see how high up the lore high score list they can get.